The 2012 surprise hit directed by Pete Travis, starring Karl Urban as the gruff voice, no compromising Judge Dredd, thrilled fans and critics alike, but unfortunately didn’t make enough money at the box office for the studio so the originally planned sequel never took off. Dredd, penned by Alex Garland, was set in a violent, dystopian future where police have the authority to act as judge, jury and executioner, Judge Dredd is joined by a new recruit as they set out to take down a criminal organisation responsible for the designer drug SLO-MO. Karl Urban has since announced that he would love to don the helmet once again but there has been no more news concerning a sequel. Alex Garland, writer of 28 Days Later, The Beach and more recently, Ex Machina, has publicly announced that even though he and Karl Urban would love to do a sequel, the studio behind the film will not finance a sequel, due to the poor box office showing the film did. 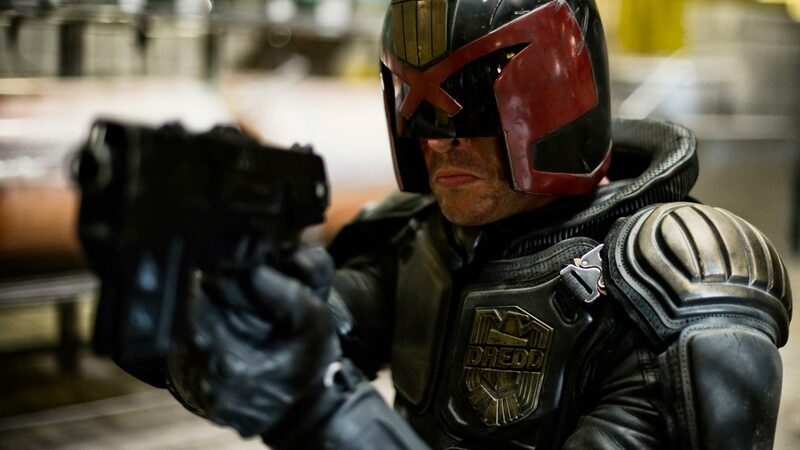 Urban has come out saying that a sequel would see Dredd go back to his roots, following an origins story based on a story by Judge Dredd creator John Wagner. The story follows Dredd as he goes in search of his father in the mutant-filled badlands outside of Mega City 1. Only time will tell if fans will get what they want and convince the money men that a sequel will be worthwhile. Neil Blomkamp’s debut, a sci-fi set in a near-future Johannesburg, South Africa, was a film that sent a strong apartheid/segregation message reminiscent of the real problems South Africa have faced. The film focussed on an alien species, known as ‘prawns’, who landed on Earth but are kept separate from humans. A sequel could either work as a prequel to how the aliens arrived, and their initial interaction with humans, or perhaps a film set after the original film, exploring the alien’s origins and how a technologically superior race came to Earth to begin with, or even when more of their species arrive to find the conditions they are living in presently. Even though Blomkamp has been busy with his latest release; Chappie, also set in Johannesburg, he has still confirmed that he would be very much interested in following up the film that hit cult status swiftly after release, a height that his two follow up films haven’t quite yet reached. District 10 has been in the pipeline since the editing stages of District 9, when Blomkamp then felt a sequel could work, whether or not this happens, is anyone’s guess. Obviously Kill Bill did have a sequel in Volume 2, but a true sequel is something that Tarantino himself hopes to do one day. Supposedly set ten years after the events of Volume 1, the film could involve Vernita Green’s (Vivica A. Fox) daughter Nikki, who unfortunately witnessed her mother die by the hands of Uma Thurman’s Bride. Going down the vengeance path again, the sequel could be about Nikki wanting to get revenge on the Bride herself, with one other character possibly getting in the way; the Bride’s daughter, B.B. Tarantino has mentioned in the past he hopes to write and film a third in the Kill Bill series but no further news has been mentioned since he confirmed his plans in an Italian interview back in 2009. Tarantino wanted to shoot a follow up in real time, ten years after Volume Two was released, which would make the film already a year overdue.